Caches are normally produced as accessed data is continuously being stored locally on your iPod touch. These caches are then used to speed up the process in such a way that it is no longer necessary to recomputed or fetch out the data from the original location. This is a way of saving time when accessing data on your iPod touch. However, as iPod touch caches build up, they tend to take up memory spaces, which affects your iPod touch’s efficiency. When memory gets full on your iPod touch, it becomes difficult to download and update apps due to lack of space, the device becomes sluggish etc. hence it becomes important to clear them to bring back your device to life. clearing iPod touch caches can be done manually or with third party software. This article will look at how it can be done both ways. iMyFone Umate cleaner Windows /iMyFone Umate cleaner Mac is a professional cleaner used to clear up your iPod touch without stress. You can use it to fix iPod touch caches comfortably. It comes in handy especially when you start having a lack of space on your iPod touch. iMyFone Umate Cleaner is designed using top space saving technology with the ability to analyze and scan your iPod touch to ascertain how to free up space and the amount that can be freed. 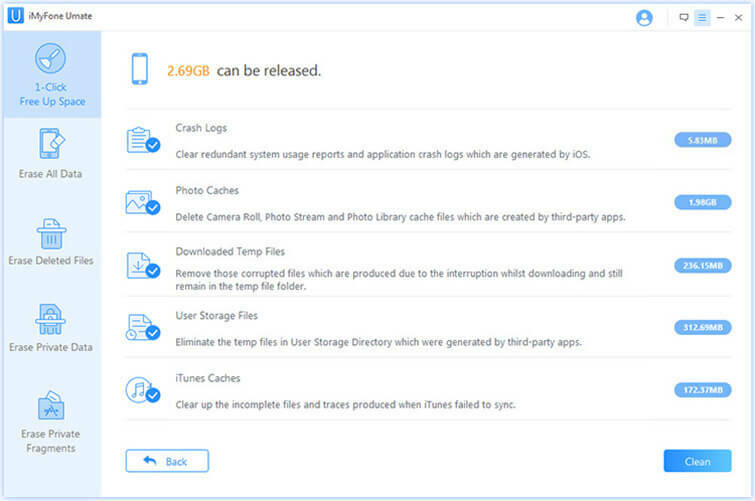 Clean All Caches on iPod touch: It offers you the function to thoroughly clean all caches on iPod touch, including app cache, photo cache, iTunes cache, corrupted files, crash logs and more as many as 30+ types of junk files. How can I clean iPod touch caches in one click? 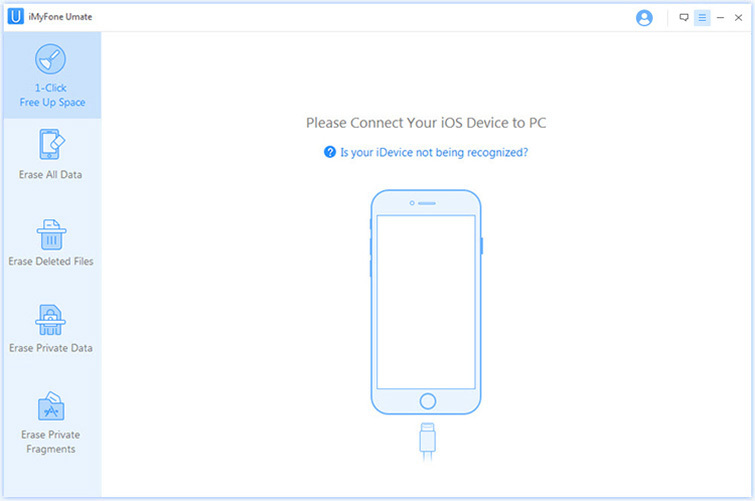 Step 1: Install the software in your PC or laptop, once installed, connect your iPod touch to your PC or laptop. Step 2: Now, open the software and click on the Scan button to scan the storage of your iPod touch. When the scan finishes, it will provide you with detailed information about your iPod touch storage. Step 3: Based on the information, now you can clear up caches with a single click of Clean for Junk files. 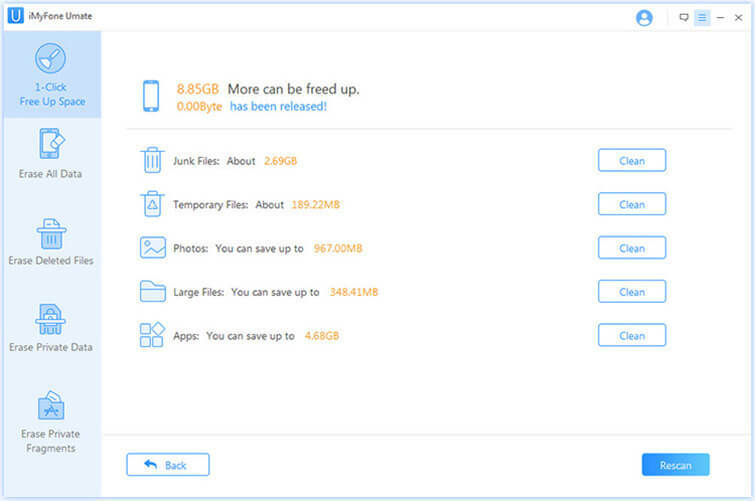 Besides, iMyFone Umate Cleaner can also compress photos losslessly, delete large files and manage apps among other features. The good thing about this software is that it is simple and easy to use. It just takes one click solution to free up space which in the process clears up all iPod touch caches. In fact, it is regarded as the number 1 iPod touch cleaner available in the market. You can clear up iPod touch caches from the device specific settings. It is simple and can be achieved using some few steps. The following steps are applicable for this process. Go to the “Settings” on the home screen of your iPod touch. Then scroll down till you get to “Safari” and click on it. Scroll down to where you can clear caches. However, it is important to note that depending on the version of your device, it could be named differently. 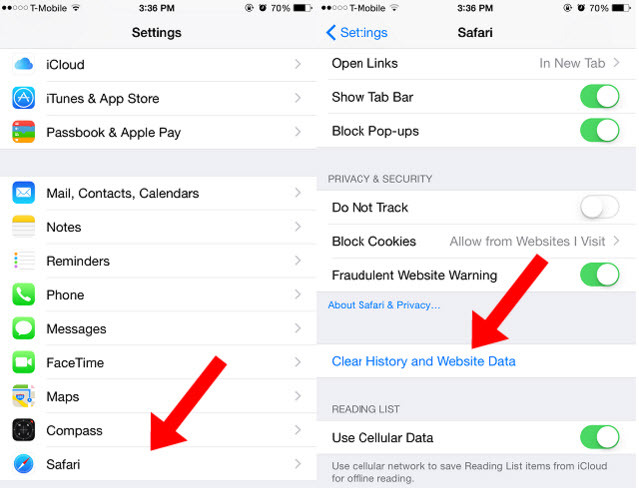 For example, in iOS 8, click on “Clear History and Website Data”. Click on “Clear Cookies and Data” again and it deletes the caches. Note that other versions may require you to click on “Clear history and Data” but the outcome remains the same. You can repeat the third and fourth steps to clear the web browser history on your iPod touch. Go to "Settings > General > Storage & iCloud Usage > Manage Storage". Tap one app and click on "Delete App". Then you can go to "App Store" to download the app again.